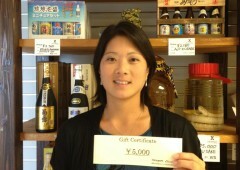 This week’s lucky winner in Japan Update raffle is Stacie Hirano, who won a ¥5,000 dinner ticket for Newport Sushi restaurant. 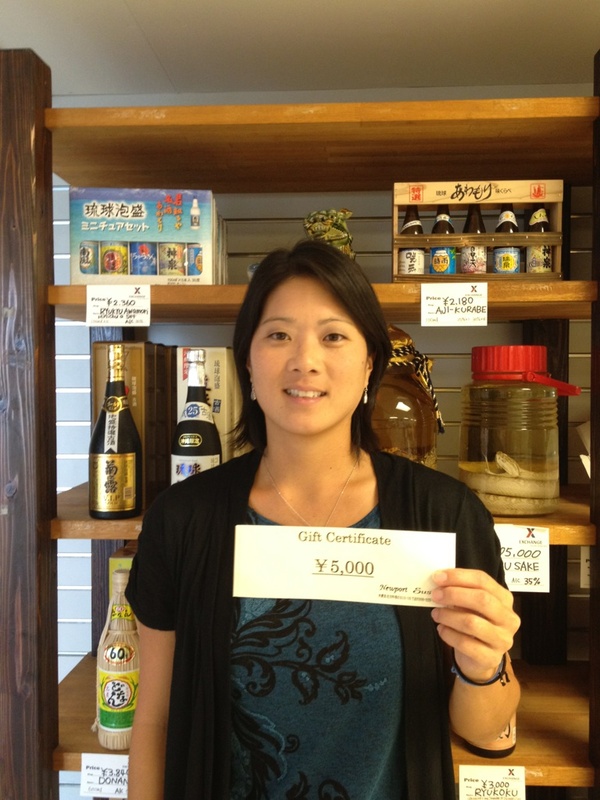 Stacie, who hails from Hilo, Hawaii, is now living in Chatan, and has been on Okinawa about two years. She says that she will be here still about a year. She says that she loves Okinawa, because “this place reminds me of home.” Her favorite dish is sushi and she looks forward to eat if to her heart’s content when she will use her meal ticket at Newport Sushi, a restaurant that is located near her home, but she has yet to have visited. “Food and people are the best part of Okinawa,” she states. She confesses that she would love to go sightseeing in mainland Japan given a chance. She also likes to visit various festivals and other events during weekends, and finds Japan Update weekly event schedules very helpful.